Accommodation in Ljubljana doesn't get any more centrally-located than these fine rooms next to the popular café of the same name. 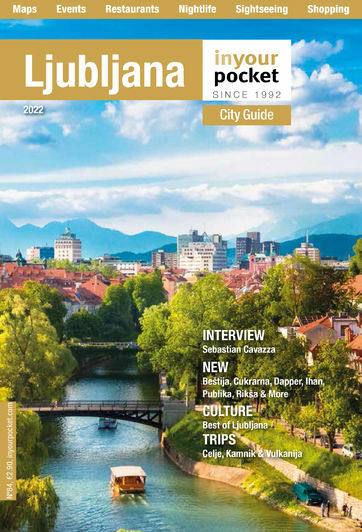 Located just a few metres from the famed Prešeren Square, all of Ljubljana's essential sights are within easy walking distance, and there's even a view of the Cathedral on the opposite bank from the windows. The rooms themselves are modern and comfortable, with especially spacious bathrooms, flat screen TVs and complimentary toiletries, all set in an historic 19th-century building that was completely renovated in 2015. If you're coming by car, it's a good idea to arrange parking in advance, as Ljubljana's entire old town is a pedestrian-only zone.